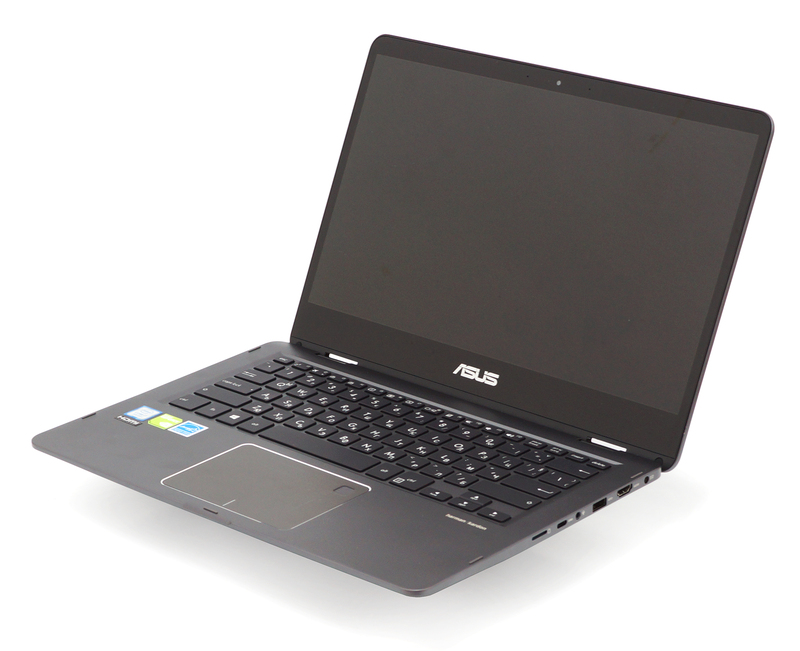 The ZenBooks from ASUS have been widely renown for their high-performance hardware packed inside a portable and elegant chassis. The specs are always good enough not only for everyday business use but also for multimedia and even light gaming (or some other graphically-intensive workload). 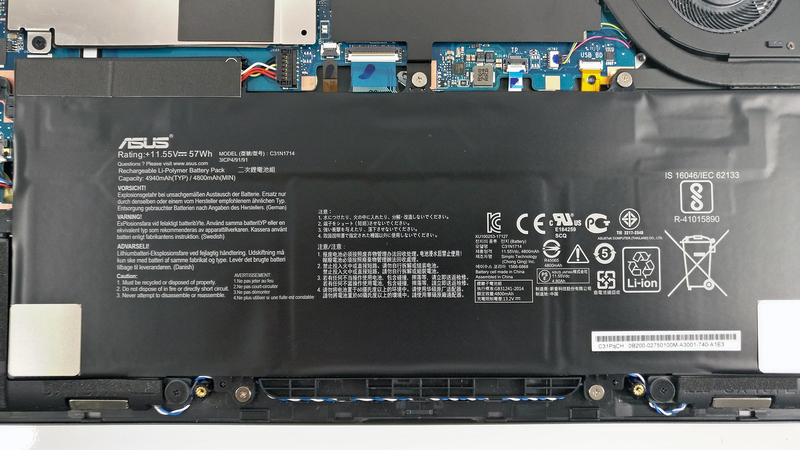 Fortunately, the ZenBook Flip 14 is a worthy member of the lineup but along with the price, the ultrabook adds a few notable features that aren’t necessarily inherent to the series. Sporting the best of what Intel can offer right now – Core i7-8550U paired with NVIDIA’s GeForce MX150 GPU, 8GB of LPDDR3-1866 RAM and 512GB of PCIe NVMe SSD storage, the ZenBook Flip 14 impresses with exceptional performance with little to no compromise in the portability department. 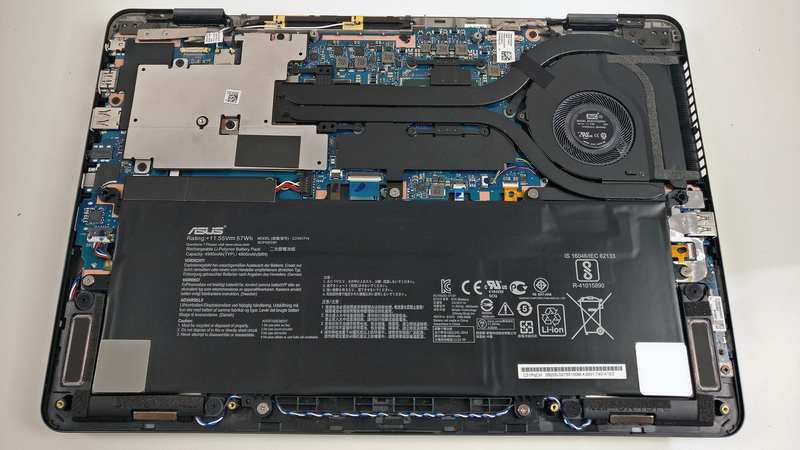 The all-aluminum chassis is a great fit for the ZenBook series and the Full HD IPS display will surely make up for a great multimedia experience but there are some troubling design quirks that need to be polished in the upcoming upgrades. 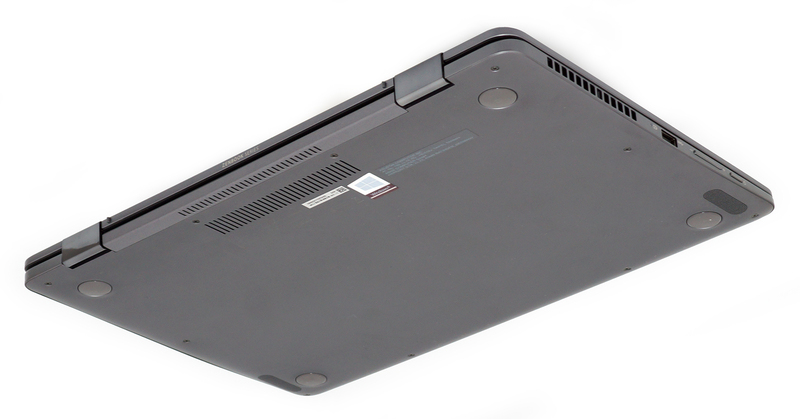 These issues are usually non-existent in the rival convertibles such as the Lenovo Yoga series. To be honest, though, we are talking about a really small design flaw that doesn’t undermine the excellent hardware. 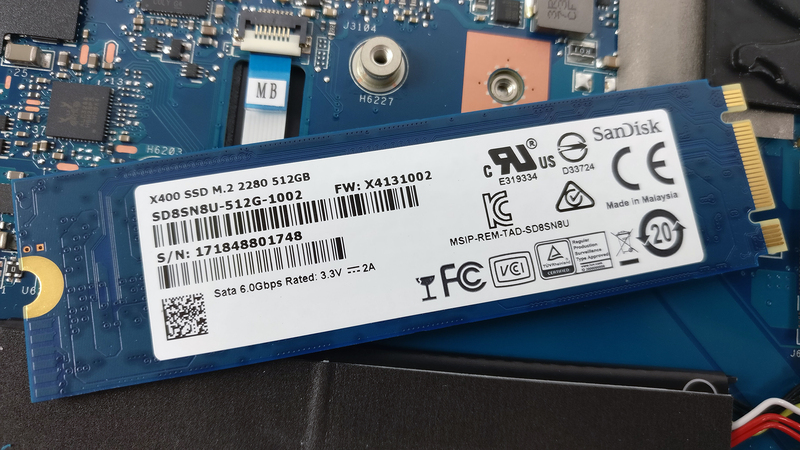 The ZenBook Flip 14 comes in a small package containing all the usual user manuals, stylus pen, a leather pack for carrying it around and a USB to RJ-45 dongle if you need a more stable connection. When it comes to design, the ZenBook Flip 14 is once again almost flawless. It has a stable all-aluminum construction with no inconsistencies – even the lid is resistant to torsion and bending. The same goes for the interior where the flex is barely noticeable and quite frankly, negligible given the size of this thing. 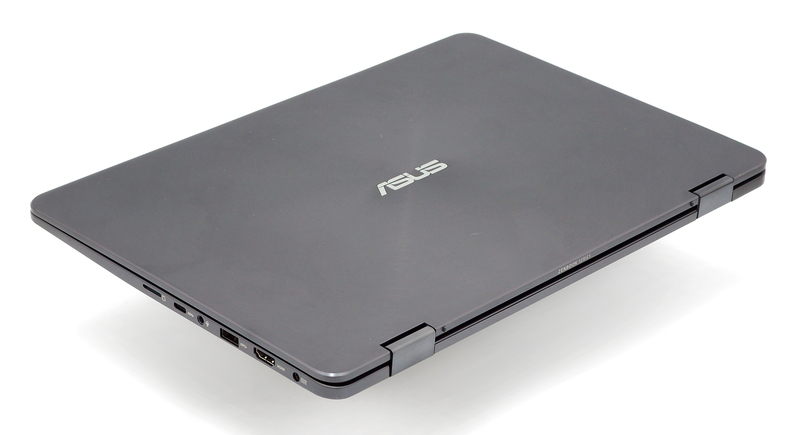 Speaking of which, the ZenBook Flip’s hardware is packed in a 1.5 kg shell measuring just 13.9 mm in thickness. That’s really impressive considering the hardware it holds. Our only complaint at this point is the hinges. Yes, the lid opens quite easily but this also makes the screen rather wobbly in presentation and laptop mode. In addition, when you open it up a little bit further, the lid lifts up the base, the rubber feet lose contact with the surface, the device becomes unstable and it’s easy to slide on the desk. It’s really annoying design flaw mainly because the pins on the back edge of the lid (where the hinges are) are not rubberized and don’t make a good grip. 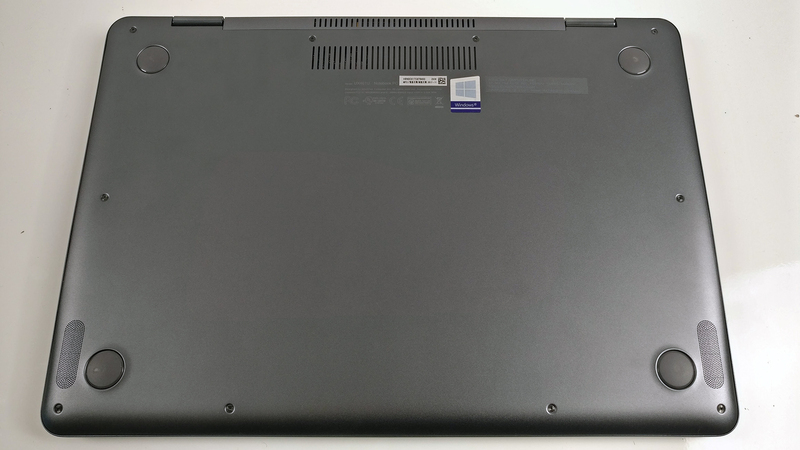 In any case, the screen features thin side and upper bezels giving the machine a modern look while bringing the 14-inch footprint closer to the 13.3-inch form factor. The concentric brushed aluminum reminds us it’s a ZenBook and the dark gray color that we reviewed doesn’t seem to be a big fingerprint magnet, which is a big plus. Again, the ZenBook Flip 14 delivers an excellent working experience on the go. 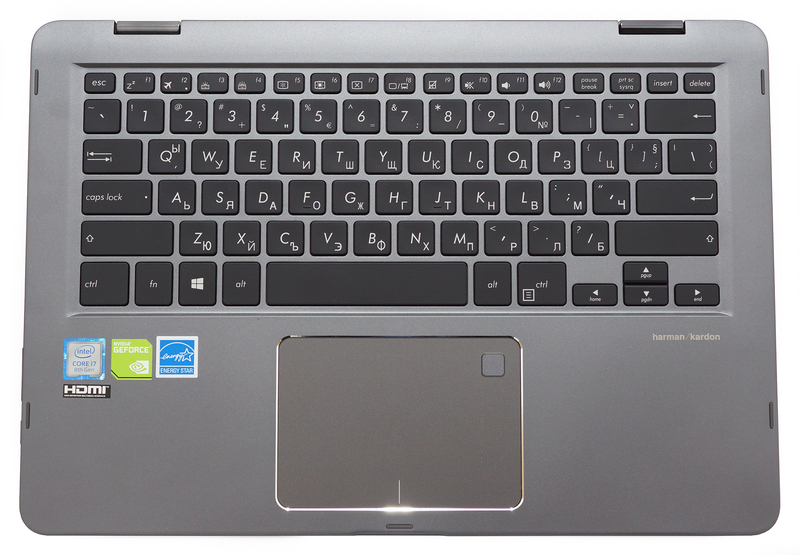 The keyboard isn’t very shallow and each keystroke gives you tactile and clicky feedback. Most users should find it quite easy to get used to. 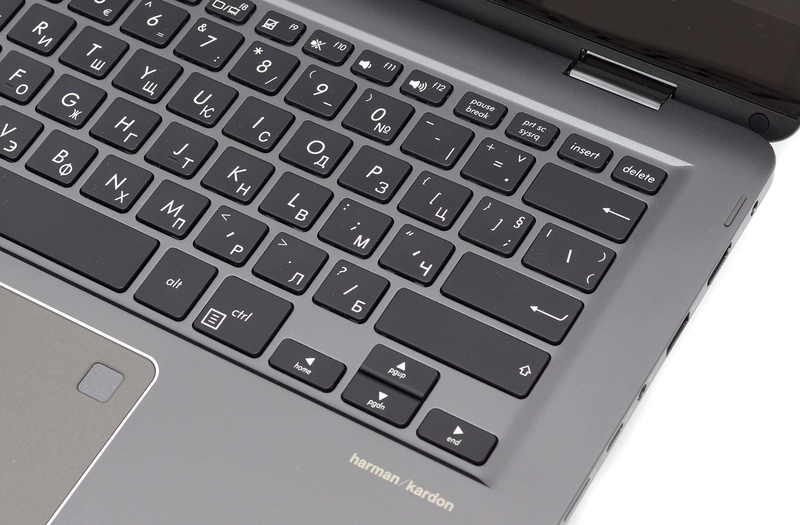 The same goes for the touchpad – smooth operations, excellent gliding surface and precise movements. The clickpad’s mouse clicks are light, deep enough and produce the same click along the whole surface. There’s also a fingerprint reader in the upper right corner for extra security. 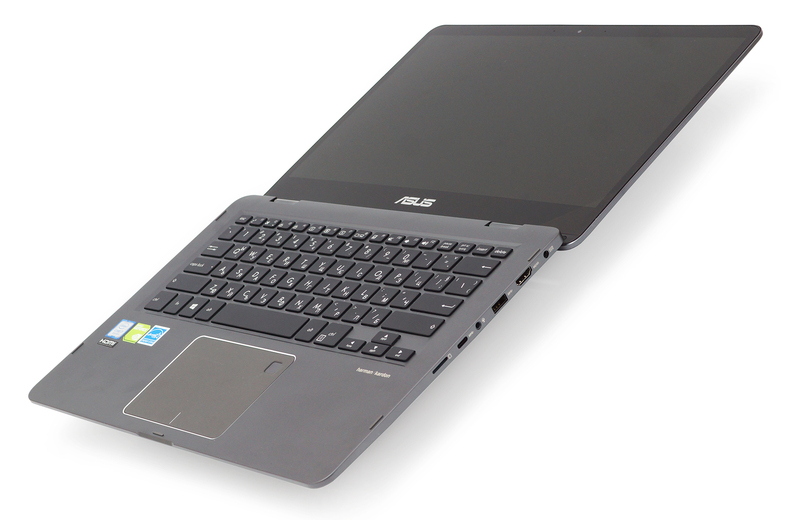 In terms of connectivity, the ZenBook Flip 14 brings typical for a 15-inch laptop I/O setup. Although a bit overcrowded on the right side, you will find everything you’d probably need – full-sized HDMI, USB 3.0, USB-C 3.1 (Gen 1), 3.5 mm combo audio jack and a microSD card reader. And on the left, you will find the main exhaust vent for dispersing the heat and another USB 3.0 connector. The power button and the volume rocker are right next to the latter – they are easy to reach and distinguish from one another. Accessing the hardware inside is pretty easy. Just remove all the screws on the bottom and gently pry up the plate. Be careful not to break any of the clips. 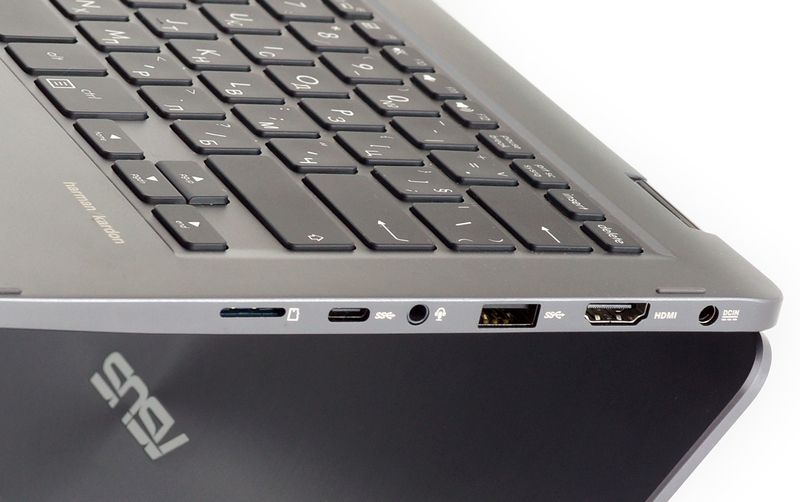 As expected, the device comes only with an M.2 SSD – there’s no room for a 2.5-inch HDD. 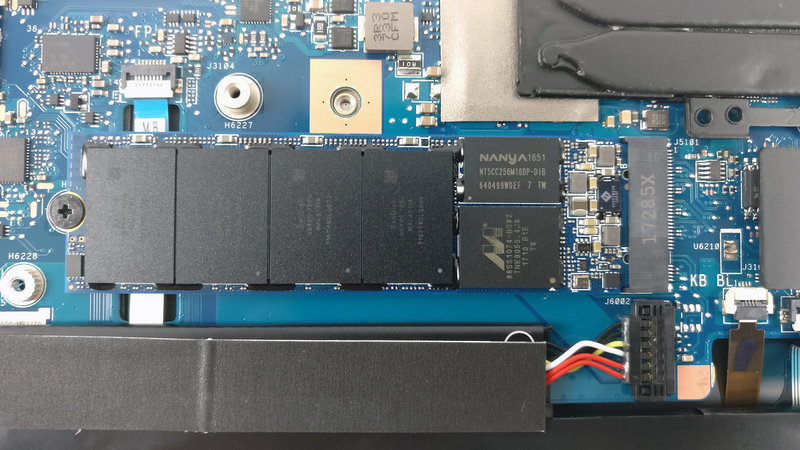 Unfortunately, though, the unit we’ve tested came with a 512GB SanDisk X400 M.2 SSD instead of a PCIe NVMe drive. This is disappointing since the price requires a PCIe SSD so be careful from where you buy the laptop. In some cases, the retailer will sell it with a PCIe NVMe SSD. The motherboard doesn’t offer upgradable memory so you are limited to what you you’ve ordered in the first place. The soldered memory chip is 16GB of LPDDR3-2133. The battery takes a good portion of the space inside and it’s rated at 57Wh. 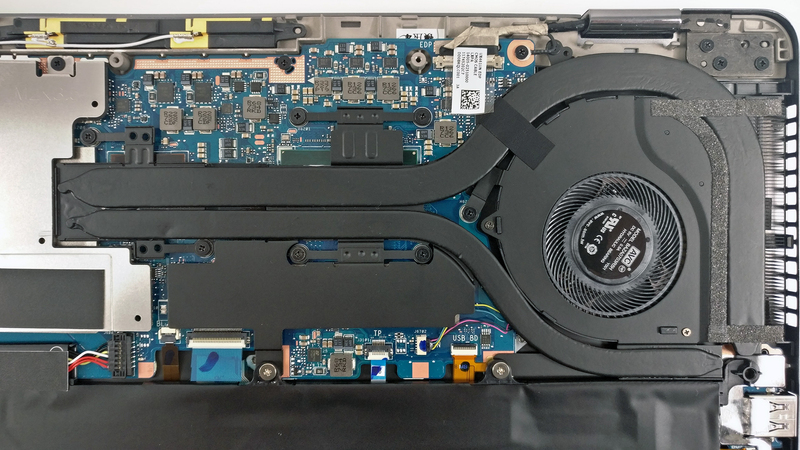 The cooling design is rather interesting – two heatpipes (one bigger than the other) wrapping around the cooling fan and connecting both heatsinks. The ZenBook Flip 14 uses a Full HD (1920×1080) IPS touch panel with model number BOE NV140FHM-N62. It offers 157 ppi and 0.161 x 0.161 mm pixel pitch. It can be considered as “Retina” when viewed from at least 56 cm. We’ve recorded a peak brightness of 284 cd/m2 in the center of the screen and 280 cd/m2 as average across the surface with 13% maximum deviation in the lower left corner. The correlated color temperature at maximum brightness is a bit colder than it should be – 7280K and remains pretty much the same when we go along the grayscale – 7030K. You can see how these values change at 140 cd/m2 (71% brightness) in the image below. The maximum color deviation dE2000 compared to the center of the screen should be no more than 4.0 and if you are planning to do color-sensitive work, it should be lower than 2.0. But in this case, since the laptop is going to be used mostly for multimedia, office work and web browsing, a deviation of 3.15 in the lower left corner of the screen can be overlooked. 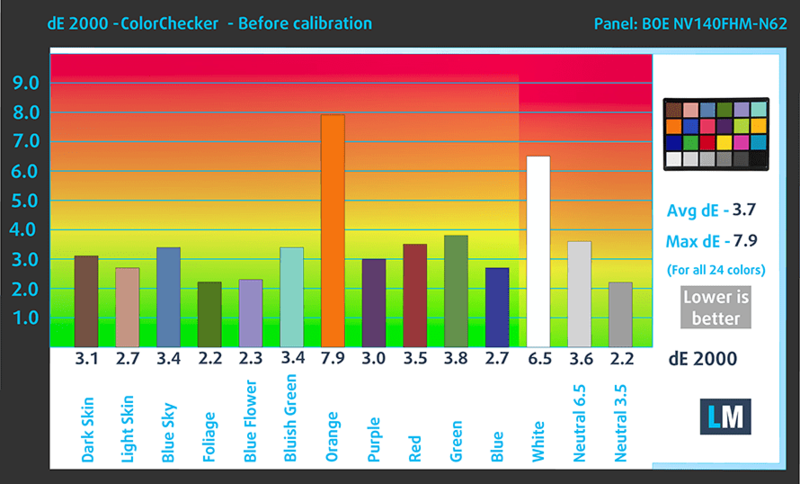 The contrast ratio is high – 1050:1 before calibration and 1040:1 after calibration. Here, the display covers 90% of the sRGB color gamut so most of the web-based and HDTV colors can be reproduced. 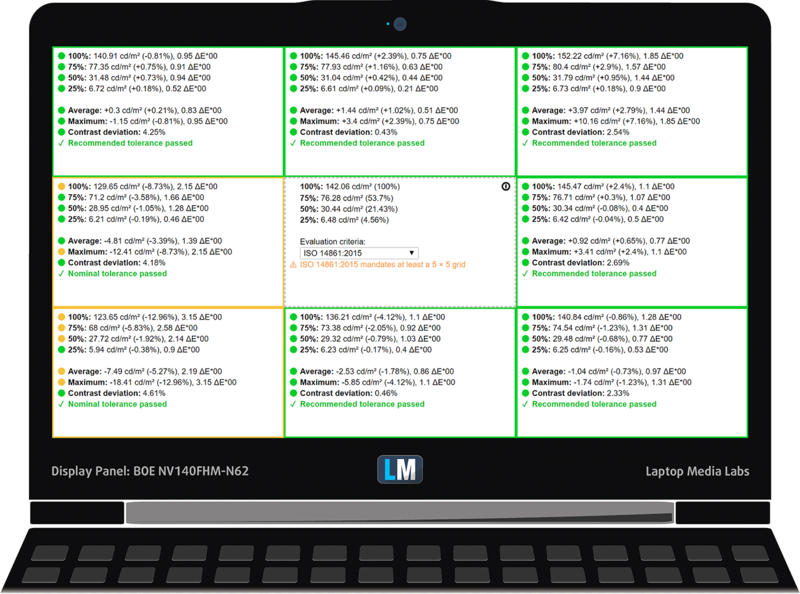 Our equipment detected aggressive low-frequency PWM from 0 to 99% brightness so we strongly recommend using the device only at maximum brightness or consider using our Health-Guard profile. The display is generally fine and offers punchy and vibrant images thanks to the wide sRGB coverage and high contrast ratio. However, the maximum brightness will be a limiting factor when using the notebook outdoors under direct sunlight. The glossy finish of the screen won’t help the situation either. Yet, the biggest issue here is the aggressive PWM we’ve recorded from 0 to 99% brightness. To avoid unwanted eyestrain, we suggest using our Health-Guard profile or just use it at maximum brightness at all times. The sound quality is surprisingly good given the size of the body. The loudspeakers provide clarity in the low, mid and high frequencies. Like most ZenBooks, the Flip 14 also impresses with long battery life mainly thanks to the energy-efficient Core i7-8550U processor and the generous 57Wh crammed inside. 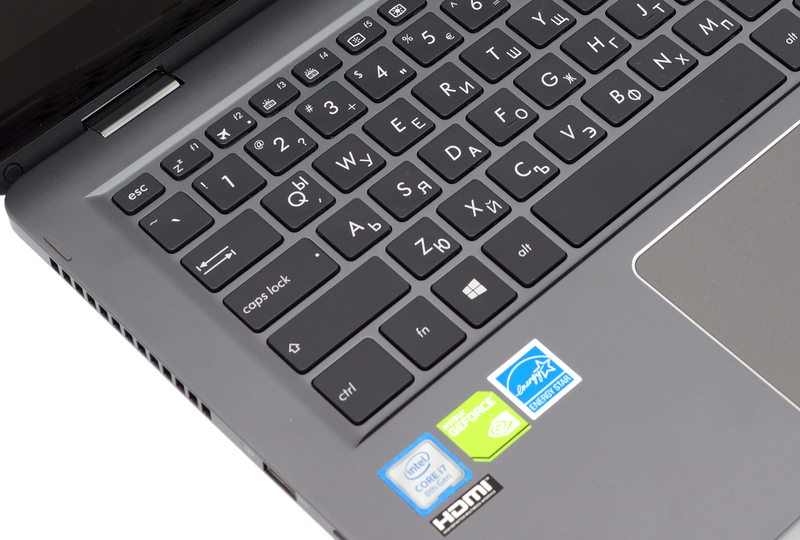 It easily becomes one of the most enduring 14-inch ultrabooks we’ve tested so far. Here you can see an approximate comparison between the CPUs that can be found in the ASUS ZenBook Flip 14 (UX461) models on the market. 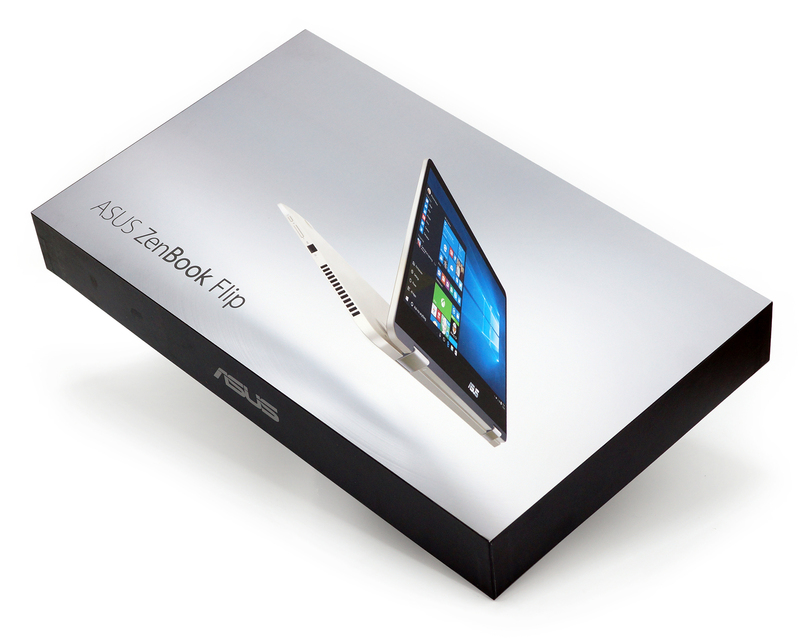 This way you can decide for yourself which ASUS ZenBook Flip 14 (UX461) model is the best bang for your buck. Here you can see an approximate comparison between the GPUs that can be found in the ASUS ZenBook Flip 14 (UX461) models on the market. 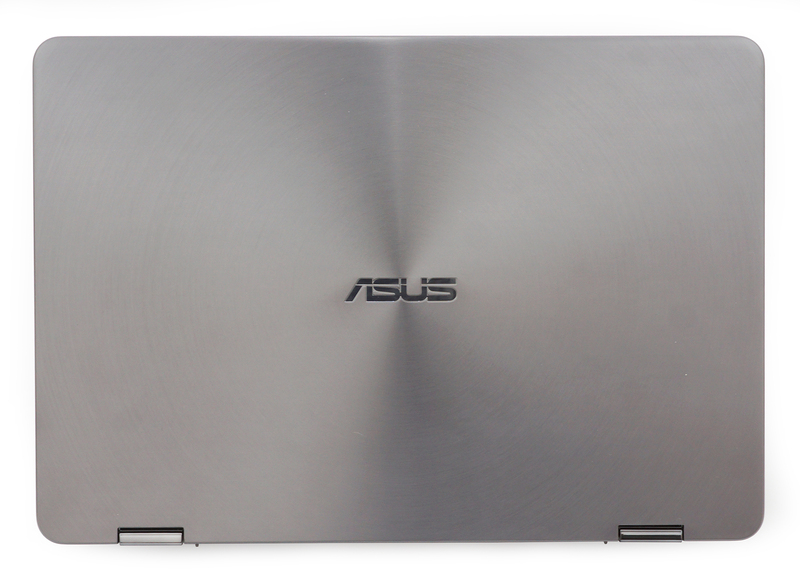 This way you can decide for yourself which ASUS ZenBook Flip 14 (UX461) model is the best bang for your buck. Of course, the stress tests that we perform don’t represent real-life usage scenarios because even the most demanding games don’t require 100% CPU and GPU load all the time but it’s still the best way to assess the overall stability of the cooling system in the long run. We kick things off with 100% CPU load for about an hour. Interestingly, the Core i7-8550U reached a maximum of 3.5 GHz for the first few seconds, it went through 2.5 and 2.2 GHz quite fast before settling at 1.9 GHz. No throttling occurred but it’s obvious that the system can’t sustain higher frequencies for some reason. Switching on the GPU stress test resulted in CPU throttling at around 1.1 GHz but to our surprise, the GPU didn’t throttle as much. It kept fairly high frequencies at 1202 MHz and exceptionally low temperatures – 64 °C. 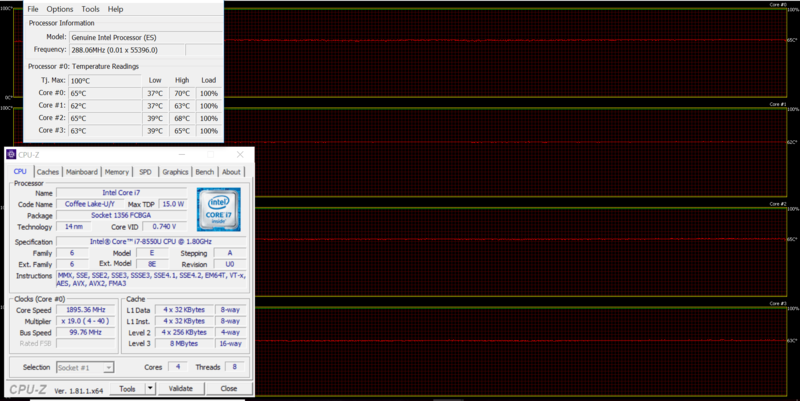 It appears that the BIOS settings prioritize lower temperatures rather than performance because obviously, both chips can go much higher judging by the fairly low operating temperatures. As expected, temperatures on the surface were a bit warm but nothing alarming. Probably higher inner temperatures would have resulted in higher outer temperatures so that’s why the CPU and GPU tend to keep things cool under the hood. We were also surprised by the low noise emissions – even under full load, the cooling fans were pretty quiet. Once again, the device proves to be great traveling companion thanks to the excellent input devices, small dimensions and amazing battery life, even though the issue with the rubber feet can be frustrating. When you open the lid a bit further, the bottom loses contact with the surface and easily slides on the desk. Seems like a rookie mistake and we hope it will get fixed after the first refresh since it’s the only design flaw we’ve encountered. But what about display quality? Well, on contrary to all ZenBooks we’ve reviewed so far, this one is a mixed bag. It does offer punchy and vibrant images due to the wide sRGB coverage and high contrast but the glossy finish combined with relatively low maximum brightness will pose a challenge when using it outdoors. 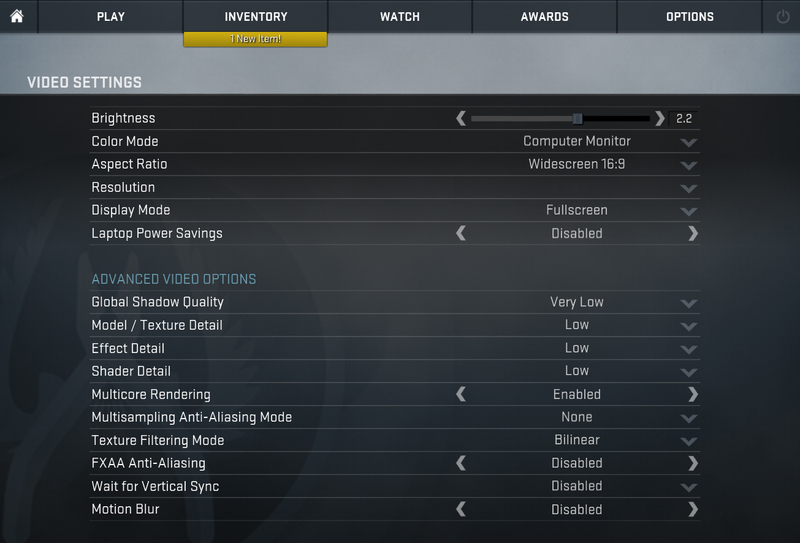 Also, the aggressive PWM will be tiring to a large number of users, especially to those with sensitive eyes. Is it worth your hard-earned money? Well, quite frankly, the ZenBook Flip 14 is one of the best convertibles currently on the market successfully challenging Lenovo’s Yoga 720 (13-inch) and easily beating most of its direct competitors. 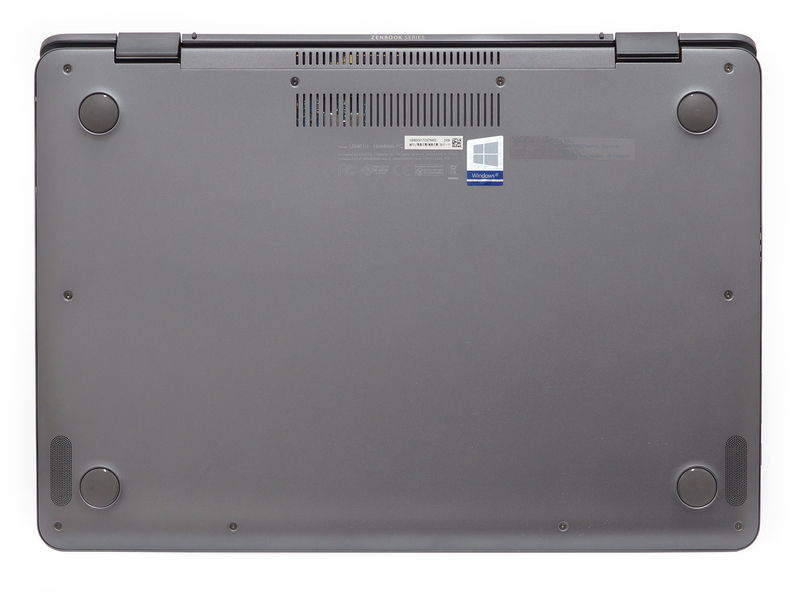 And if the 360-degree rotatable hinge isn’t essential, consider the standard ZenBook UX430 or Lenovo’s Ideapad 720s. It would have been better if you’d compared it to the Lenovo 920 instead of the 720, but great review nonetheless! The Yoga 920 is considerably more expensive, well above the ZenBook. Still, it would have been an interesting comparison you are right. Unfortunately, we haven’t reviewed the Yoga 920 and can’t make an informative comparison. is it good for autocad, revit, sketchup, vray and lumion? So is the replacement for the ux490? 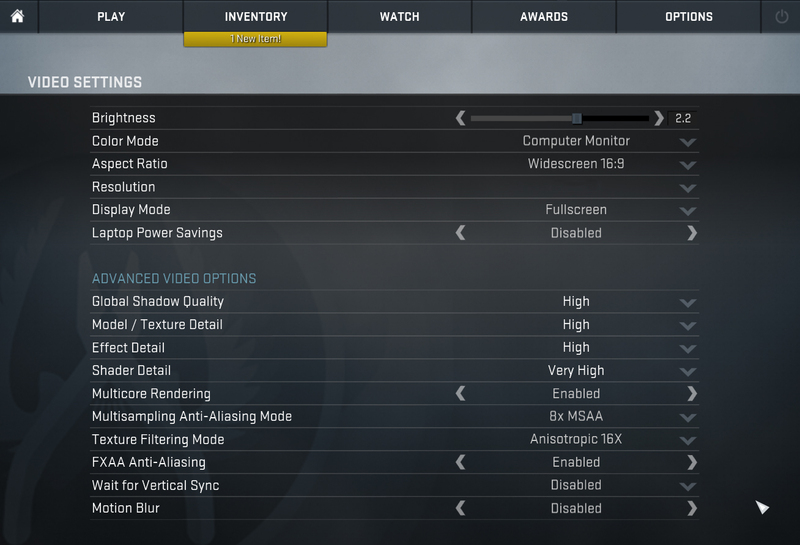 I mean specs for both high end models are the same except the ux461 is a flip and the 490 isn’t. 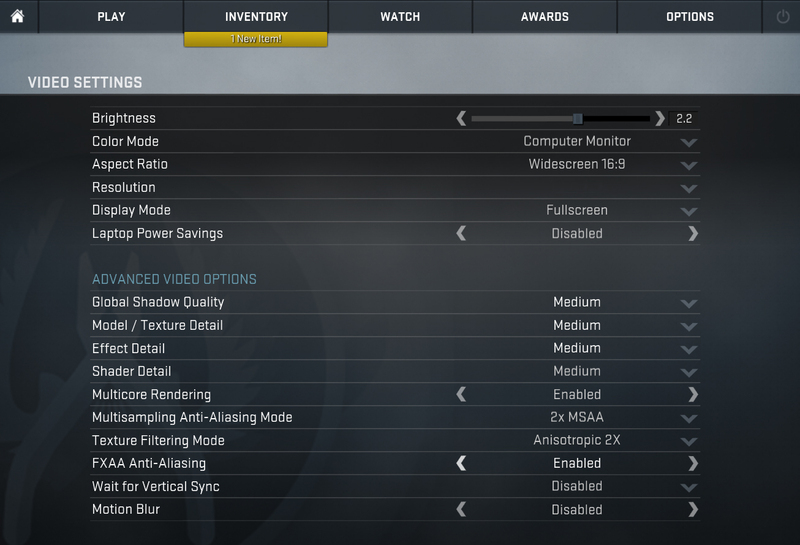 And issues with 490 seem to be fixed with this model. is the Health-Guard completely eliminate the PWM at all brightness level? and does it have an effect on battery life?